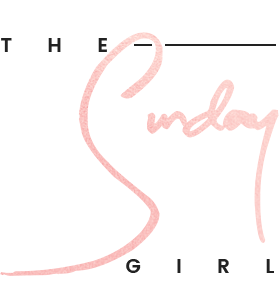 Two new and to the best of my knowledge limited edition Sleek MakeUp Blush by 3 Palettes have landed and if you are a fan of peach, pink or even coral blushes you may want to stock up! 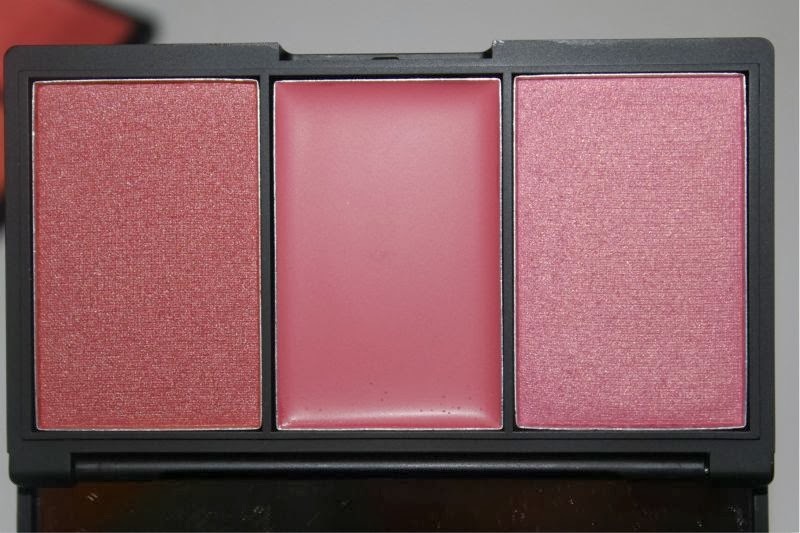 As with the majority of Sleek MakeUp items both the Blush by 3 palettes come neatly presented within a matte black case and although it stores three well sized blushes the compact itself is fairly dinky. It almost fits into the palm of my hand and is therefore small enough to travel with, even if pushed for space. 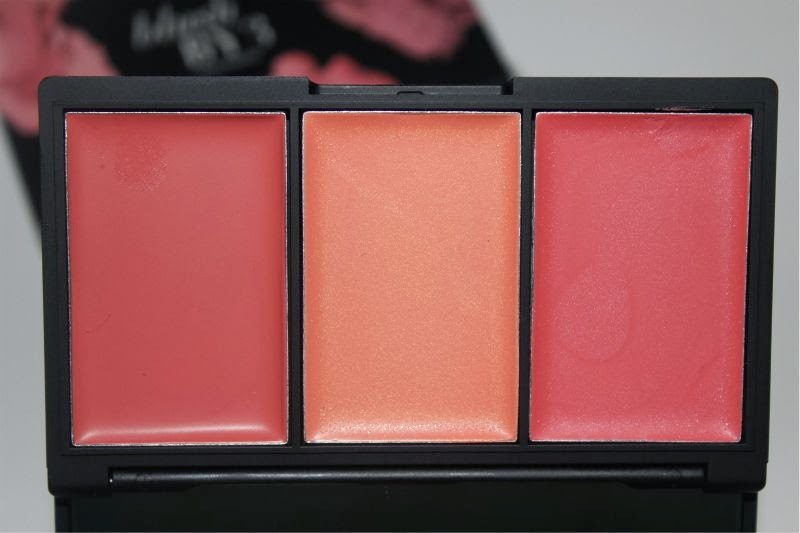 All of the Sleek MakeUp Blush By 3 kits come complete with decent sized mirror housed inside for on the go touch application. First up we have an all cream blush palette Californ.I.A which has been inspired by the sun, sand and surf of Californian beach life. 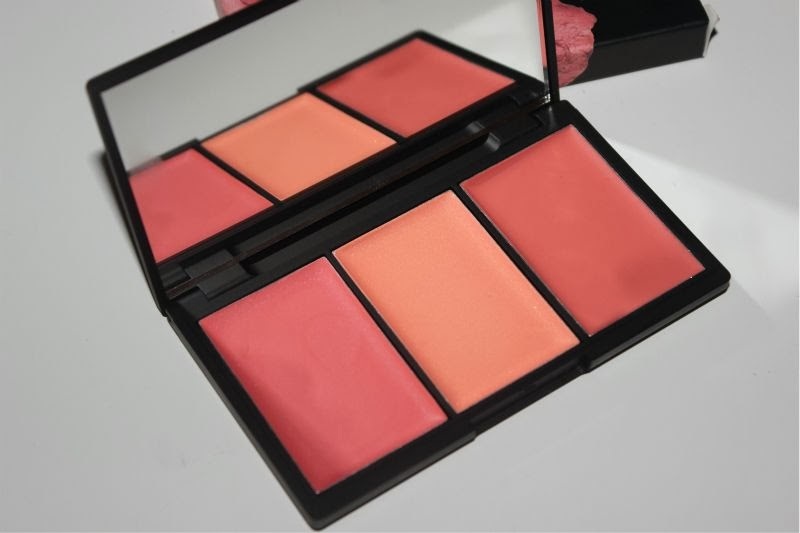 In my opinion this the perfect summer blush palette as the bright sunny coral and orange hues will perfectly compliment a tan and the cream formula is perfect for fuss free application. The three shades in this offering are: Newport Beach - a slightly red tinged coral that gives a freshly flushed look, The Surf - a bright tangerine hue and OC which again is a coral but a lighter and more orange toned offering than Newport Beach. All three shades glide on the skin with ease and offer great levels of colour pay off meaning they will show up on all skin tones. On first application the cream formula does have a little slip but it does quickly dry and settle onto the skin (even oily types like myself) and forms a dewy, natural finish. In terms of wear I typically get around 7-8 hours from this cream blush formula slightly less in humid/warm weather. I have found that lightly pressing a little powder over the top can prolong wear but you do have to tread gently to avoid changing the texture of the product. 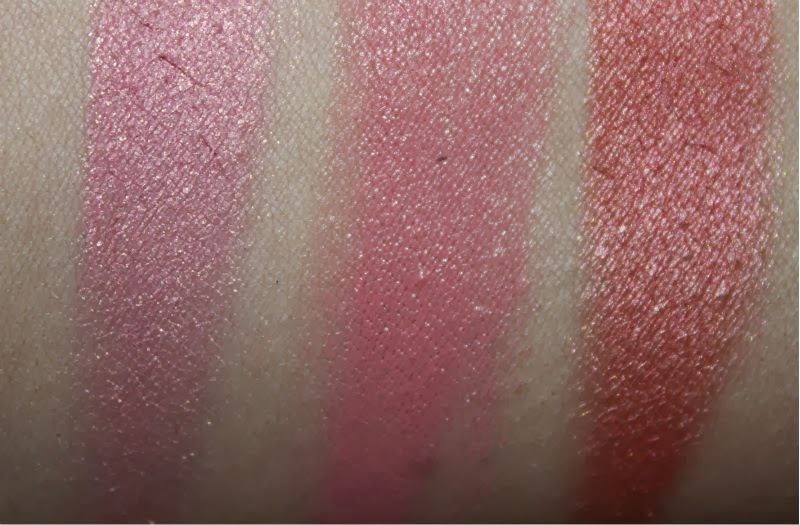 The other trio is the Sleek MakeUp Pink Lemonade Blush by 3 Palette which has apparently been inspired by a sweet English Garden Tea Party and looking at the rosy pink shades I can see how that transpires. 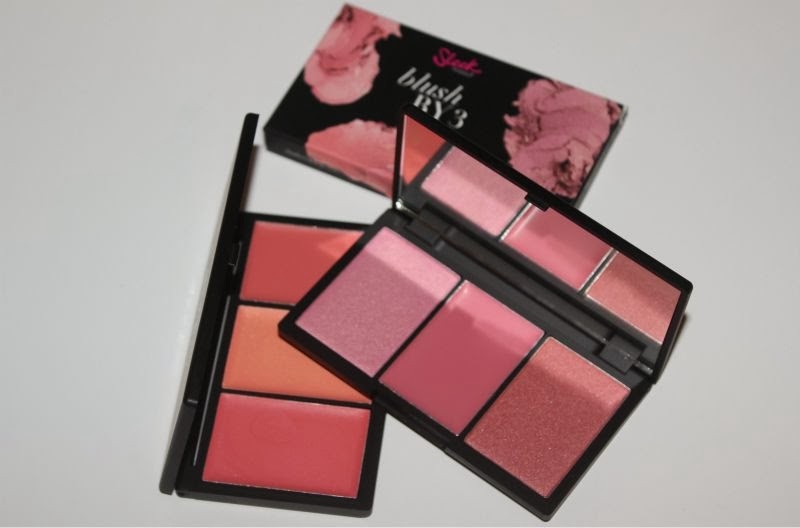 Unlike the above palette this comes with two powder blushes and one cream formulated blush. 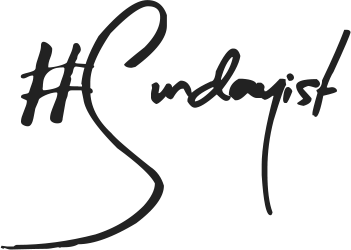 At the moment I haven't experienced any difficulties but I will admit that I am not a huge fan of palettes that contain both powder and cream products as more often than not the fall out of the powder product ends up getting embedded within the cream product! Anyway that aside the shades are truly beautiful with a deep golden pink powder blush in the form of Icing Sugar. A mid toned neutral pink cream blush that is Macaroon and lastly a lighter rose gold pink blush that goes by the name of Pink Mint. 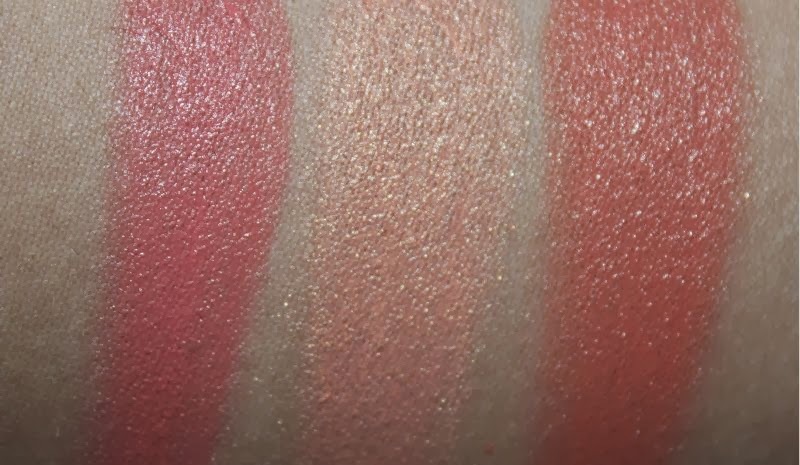 The cream has the exact same formula as those found in the Californ.I.A palette and the two powders are beyond pigmented so much so I recommend approaching with a light hand and building the colour on in layers. The formula is soft yet not prone to fall out and is long lasting with around nine sometimes ten hours of wear on my oily skin. 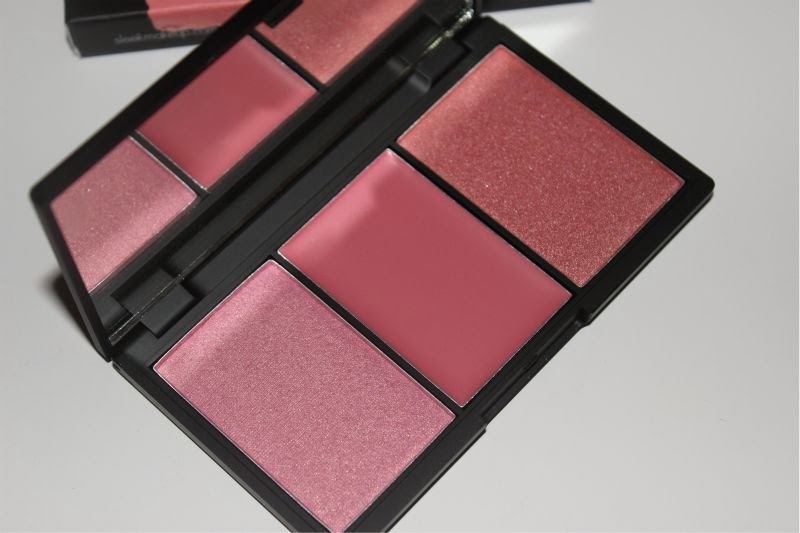 Two lovely additions to the Sleek MakeUp Blush by 3 Palette line wouldn't you agree? You can find both here for £9.99 each (they ship worldwide) - link.